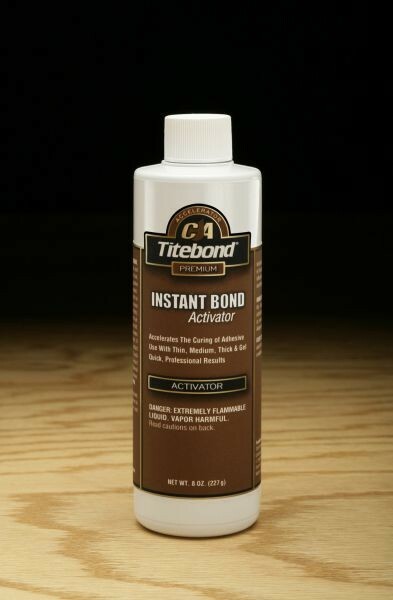 Accelerates the curing of Titebond Instant Bond Adhesives. 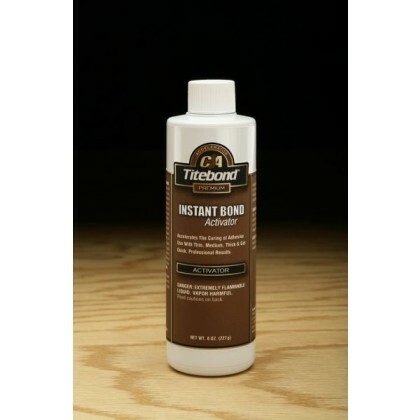 Titebond Instant Bond Accelerator is not intended for exterior use or where moisture is likely. Store in a cool, dry place. 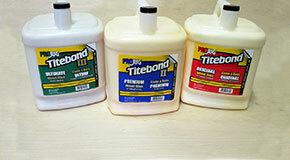 Handling and set times of Titebond Instant Bond Adhesives may be affected by environmental conditions. Product is extremely flammable. Keep away from heat, sparks and flame. It appears you do not have a PDF plugin for this browser... oh well click here to download the PDF to view later.